This boiler is factory equipped with a controller SP-16L  with the LOGIC system. It controls operation of the pumps and forced draught fan . It reduces fuel consumption by 10-30% and extends operation time on one charge. 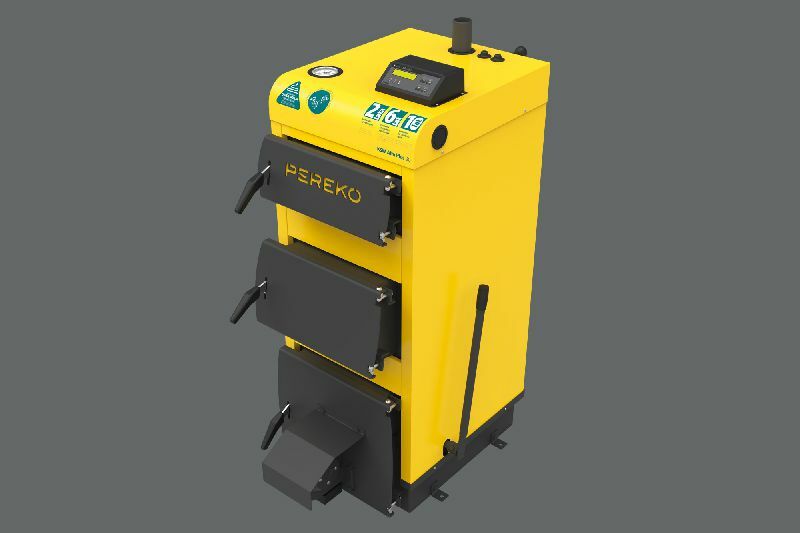 Boiler proves to perform well in large systems with central heating and domestic hot water pump and (due to high range of power) in building with higher heat demand. 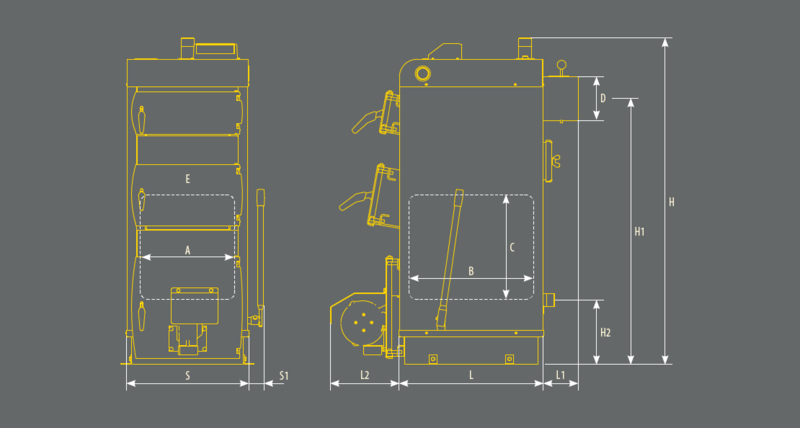 Body, casing and additional components of this equipment are selected in a way simplifying their servicing. The mentioned controller accelerates firing up of the boiler. Wider doors  directed slightly upwards facilitates charging the fuel. While handy lever located on the side of the boiler  helps in quick removal of the ash from grate . We introduced also changes in the structure. They are invisible to the naked eye but effects of the operation of longer flue gas circulation  are observed in form of burn time extended to 18 hours and lower fuel consumption. As one of the few manufacturers we equip all our equipment in adjustable doors. In case of leaks caused by frequent use it is also possible to level them recovering their integrity. 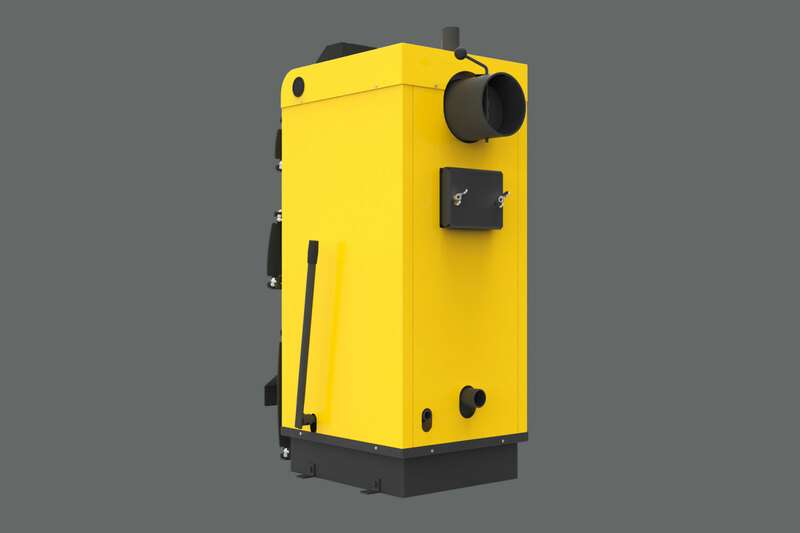 The Alfa Plus boiler is based on a solid design. Its proven design and careful production process ensure many years of economical operation. 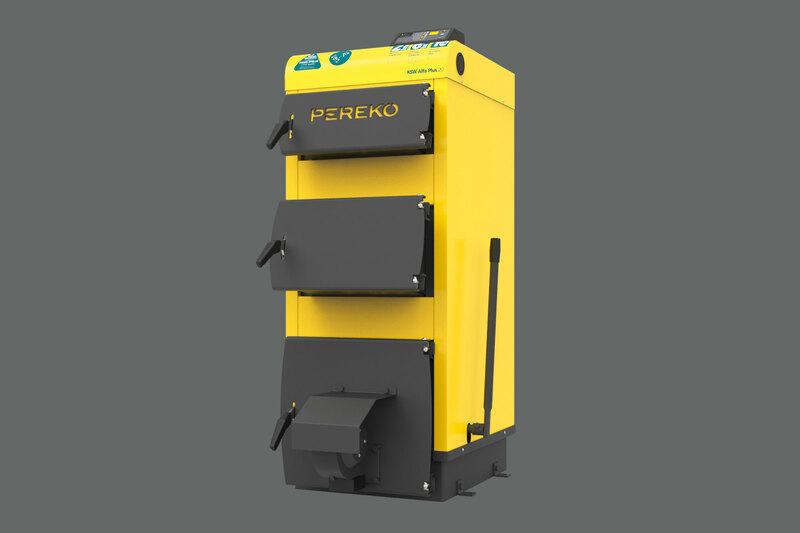 Warranty periods for this model: 2 years warranty for components, 6 years warranty for heat exchanger tightness and 10 years of warranty for flue gas tightness. 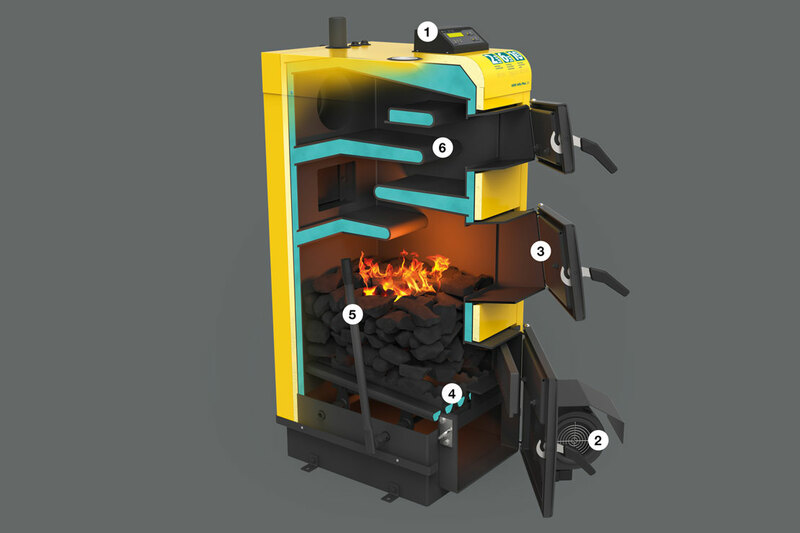 The connection of boiler to the chimney is no longer a problem due to universal connection ensuring high accessibility. A lever located on the side of the boiler services mobile grate set at a slight angle in vertical motion what facilitates removal of ash.